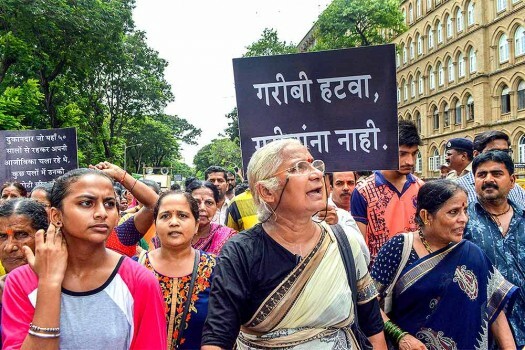 Social activist Medha Patkar and others participate in a rally to protest against Maharashtra government for shifting people to polluted Mahul area, in Mumbai. 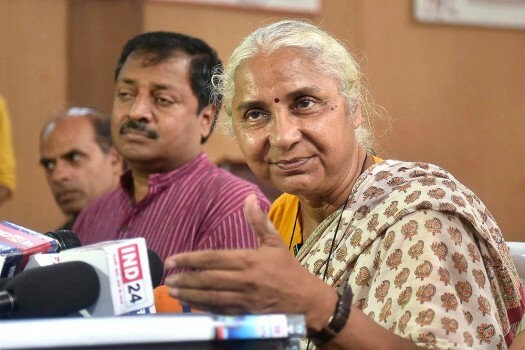 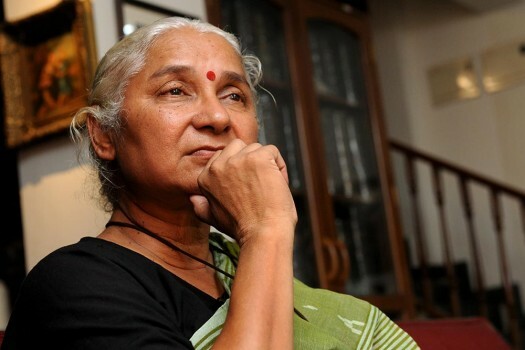 Social activist Medha Patkar addresses a press conference to draw attention towards conservation of river Narmada and farmers’ issue during a Jan Adalat, in Bhopal. 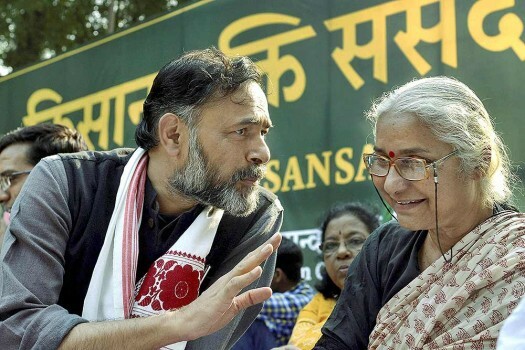 Social activist Medha Patkar and Swaraj Abhiyan leader Yogendra Yadav at the Kisan Mukti Sansad, in New Delhi. 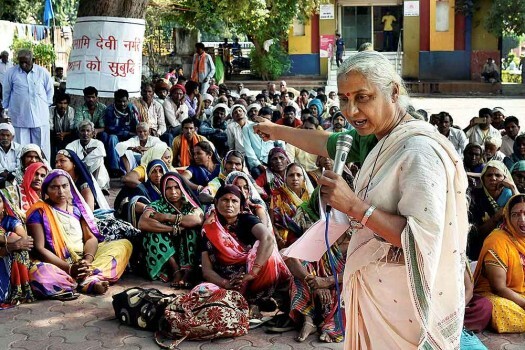 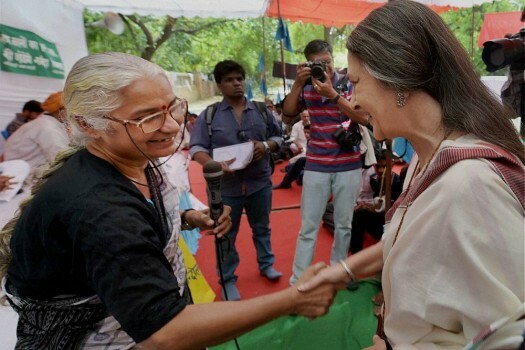 Narmada Bachao Andolan leader Medha Patkar addressing people during a protest against the alleged corruptions in the rehabilitation of Sardar Sarovar Dam oustees, in Bhopal. 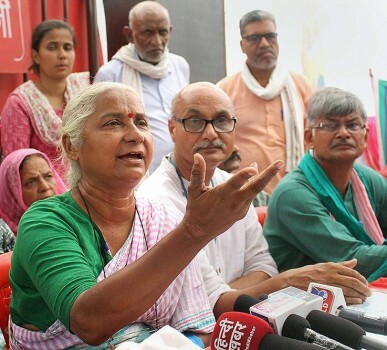 Narmada Bachao Andolan leader Medha Patkar addressing a press conference in connection with the rehabilitation of Sardar Sarovar Dam oustees, in Bhopal. 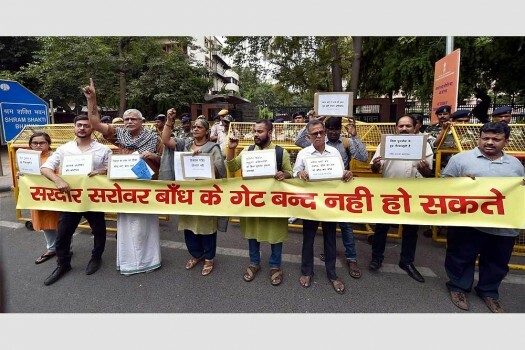 Activists Of Narmada Bachao Andolan during a protest at Jantar Mantar, in New Delhi. 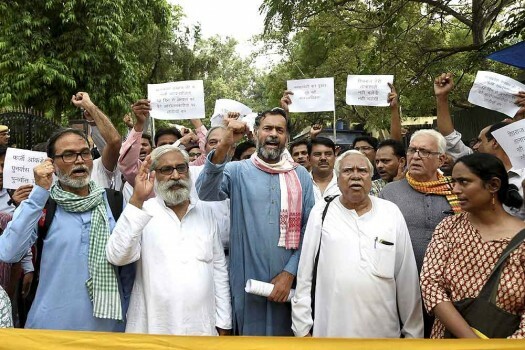 Members of 'Narmada Bachao Andolan' protest against the closure of Sardar Sarovar Dam at Shram Shakti Bhavan, in New Delhi. 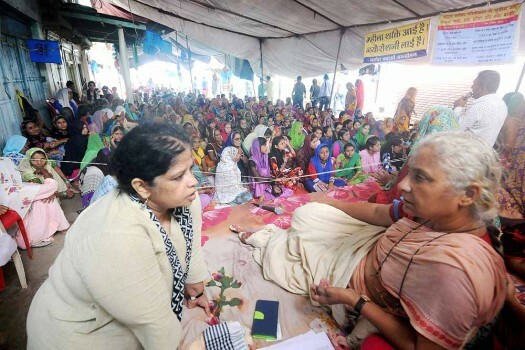 Bihar Chief Minsirer Nitish Kumar at Barwani near Indore with Narmada Bachao Andolan leader Megha Patkar. 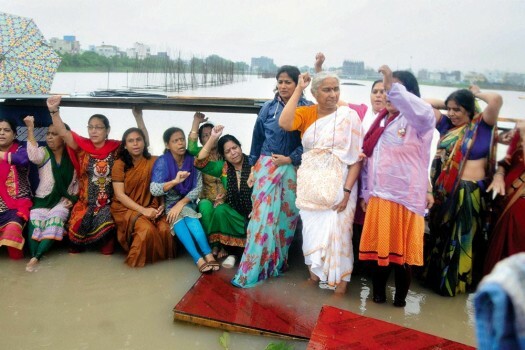 The Cause Narmada Bachao has been a 30-year andolan for her now. 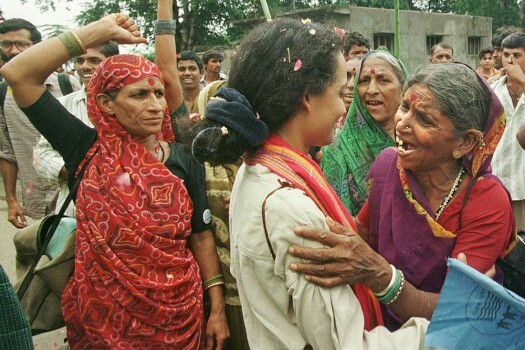 Besides, she’s part of other movements on land rights. 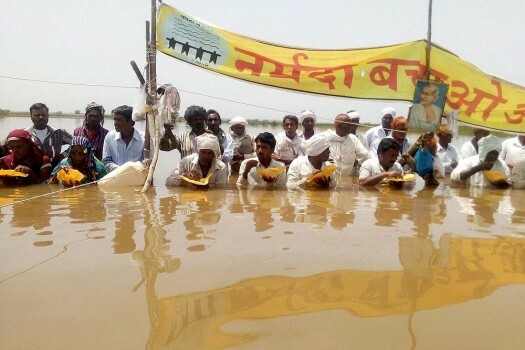 Narmada Bachao Andolan activists having breakfast during 9th day of their 'Jal Satyagraha' at Ghogal Gaon in Khandwa district of Madhya Pradesh. 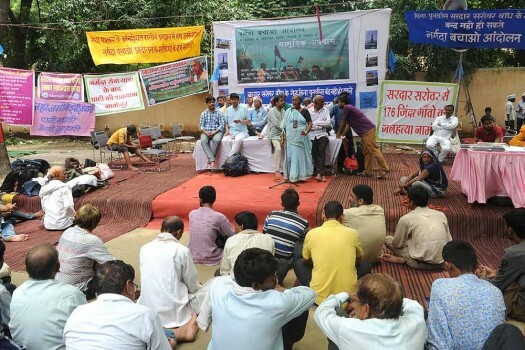 Villagers staging a protest in the back waters of Narmada river as part of the Narmada Bachao Andolan's 'Jal-Satyagraha' at Bichoula village in Harda District, Madhya Pradesh. 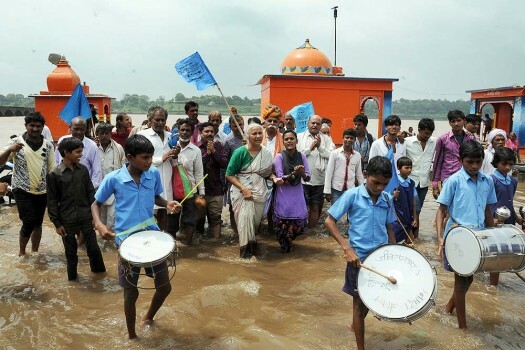 The foundation stone of the dam was laid on April 5, 1961 by the country's first prime minister Jawaharlal Nehru. 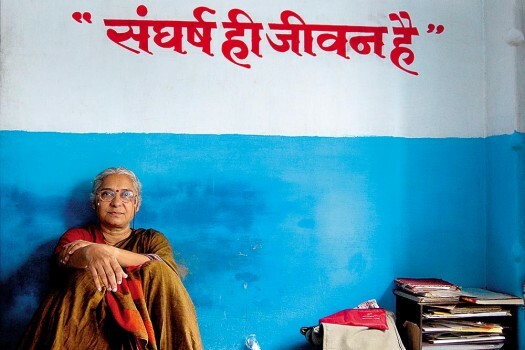 However, it took 56 years to complete its construction. 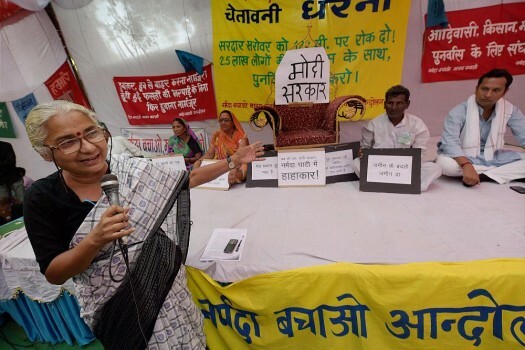 Patkar's indefinite fast for rehabilitation of the Sardar Sarovar Dam oustees in Madhya Pradesh entered the 12th day on Monday.